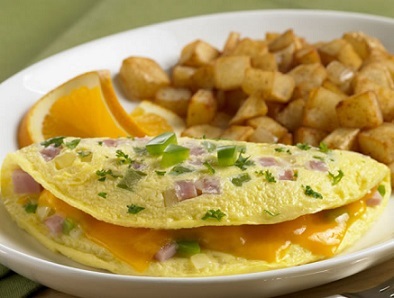 A Denver Omelet is one of the best ever omelet recipes and a best known American omelet. If it is scrambled and placed between slices of toast it becomes a Denver sandwich and is equally as good. 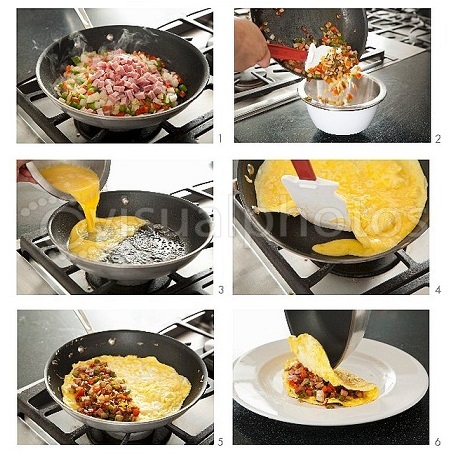 An omelet is a preparation of beaten egg cooked with butter and / or oil in a frying pan and folded around a filling. In this case, ham, peppers, red or white onion and cheddar cheese. 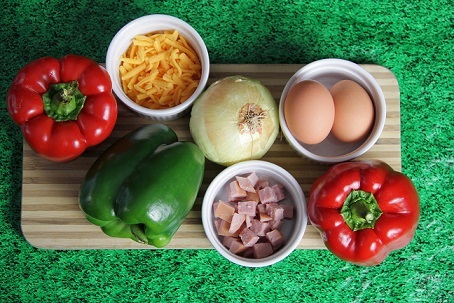 Don't miss the article entitled "How To Cook An Egg." I know you'll find it informative as well as somewhat humorous. 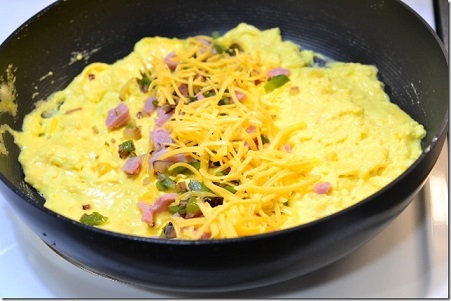 And just so you know, this omelet, also called a Western Omelet, is a great low carb breakfast. Just serve the omelet with tomato slices or some fresh fruit. Note: When selecting green, red or yellow peppers they should be shiny, well-shaped and show no signs of shriveling or have any soft spots. To “prep” peppers, cut in half lengthwise and remove the core, seeds and white membranes, then dice, chop or julienne depending on the recipe. 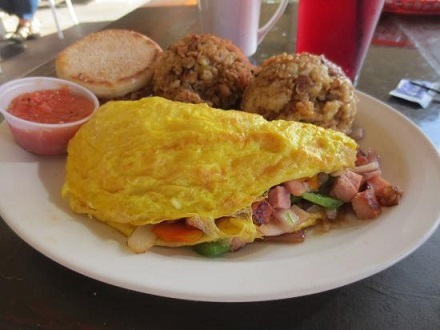 Enjoy your restaurant recipe for a Denver Omelet and the company of those you share it with! "For my last meal, I'd want Irish soda bread with one of my dad's omelets made with three or four eggs."